This week, we’re focusing on railways & minecarts. Players use rails to create railways, which makes travel between large distances much faster. Check out the video below to learn more about rails and railways with our experienced counselors. Railways are great to help players get from their workshop to their mineshafts. They can also help players move between colonies in Survival Mode. With a little imagination, players can even craft amazing roller coasters. Rails are extremely useful in Survival Mode since players can’t cross great distances by flying. They are often found in abandoned mine shafts, but they can also be crafted. Players can craft railways by making multiple sets of rails and assembling them into a track. A railway or track is useful to transport the player or materials for one point to another in Minecraft. But to travel on the railway, players must also build minecarts. There are several different types of rails. Powered rails can increase or decrease the speed at which minecarts travel. This type of rail keeps a minecart moving on the railway. Activator rails cause any minecart that runs over them to drop off any player or material that is being transported. 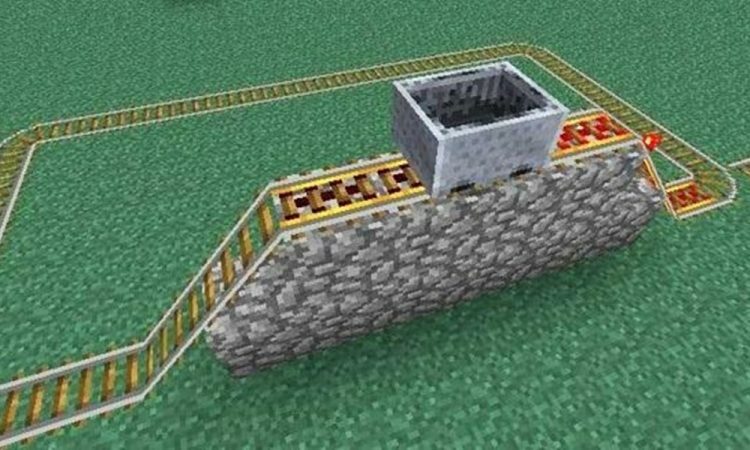 Detector rails act as pressure plates, which can be used to create signals and other functions when minecarts pass over them. They can also be used to send a minecart from one detector rail to another. There are also several different kinds of minecarts that can travel on railways. A standard minecart allows players to travel in them. Players can also build minecarts with a chest, also known as a storage minecart, since they can carry materials on the railways. Lastly, there are minecarts with furnaces, also known as powered minecarts, which can move when they are loaded with a fuel such as coal.